Posted on February 10, 2015 by kcg1974 •	This entry was posted in Accomplishment, Awards and tagged Acceptance, Appreciation, Awards, Blogging, Celebration, Love, Writing. Bookmark the permalink. To you with gifts of many yourself, I simply say, “Thank You.” Well deserved, my dear friend. You are so welcome, “D.” Sorry for the delay, but I’ve been sick in in bed with a very bad cold. Take your time, there is no rush. Congratulations with blessings to you. Thank you so very much, David. Sorry for my delay, as I’ve been sick in bed with a terrible cold. Not like me to stay under the covers…..:( Hugs right back but not too close!!! Thanks, kind friend. Hugs to you! Thank you sincerely with much appreciation. Thank you so very much. Blessings to you. Thank you so much for this fantastic award nomination, Kim! Your list includes some new ones I will have to come back and check sometime soon. Meanwhile, I am going over to my drafts and will make sure I get your name and the award written down. I open my drafts when I get to the library first, which reminds me of what I need to write about next… Hugs and special wishes for you to have a happy Valentine’s Day and really nice rest of the week, Kim. You are a blessing to all of us who have gotten to ‘know’ you through your caring posts. Oh, you are so very welcome, Robin. Take your time as there is no rush. Sorry for me delay, as I’ve been in bed with a really bad cold caught from babies….They are getting better thank God. Again, my special thanks to you and a HUGE congratulations with a great big hug is sent your way. 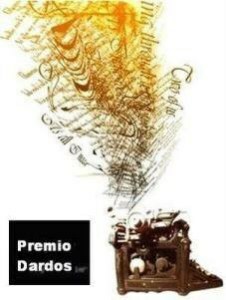 I am beyond honored to have been selected by you for the Premio Dardos award. Although I don’t accept awards anymore for a variety of reasons, I appreciate the time and effort and thoughtfulness that goes into the selection of nominees and then adherence to the rules, which introduces us to new and original bloggers. I know that I’ll be visiting each of your nominees and saying hi. By the way, I think your blog is terrific! Thank you, Pamela. I completely understand. Yes, please visit the other nominees whenever you get the chance. Blessings. What do I say! It’s the goodness of kind people like you that an undeserving blogger like me is getting this recognition. I must thank you from the bottom of my heart for your kind words. I’m truly excited and would accept this award with all humility. Thanks once again!! May your blog continue to be loved by more and more people. More strength and power to you, Kim. Sincere congratulations to you, Mahesh An “undeserving blogger?’ So untrue! Thank you for all of your kind words plus your friendship and support. Blessings always. Thank you for such kind words in reblogging this post, Sally. Love the depiction of your hair! A good giggle from me this morning! I apologize for my delay. Recently took care of sick babies who passed it along to me. Feeling guilty for being in bed for two days straight! Up and running again soon……:) Thank you again for such a beautiful award with great substance. So very proud to display it upon my shelf!!!! Wonderful! Absolutely deserved and love your words about the other writers you nominated as well. I’m always excited to visit your posts. Your stories are so alive with life! Well done, Kim! Hmm. Where did my comment go from yesterday? In Spam? Thank you, Tess. I’ve been ill, but I’ll check my ‘Spam’ folder to see. Who knows? Sometimes I find comments in there that should most definitely NOT be there!!! Thanks for letting me know. Thanks, Tess. Yes, I’ve heard many people have been sick.